Did Grandpa find pirate treasure? 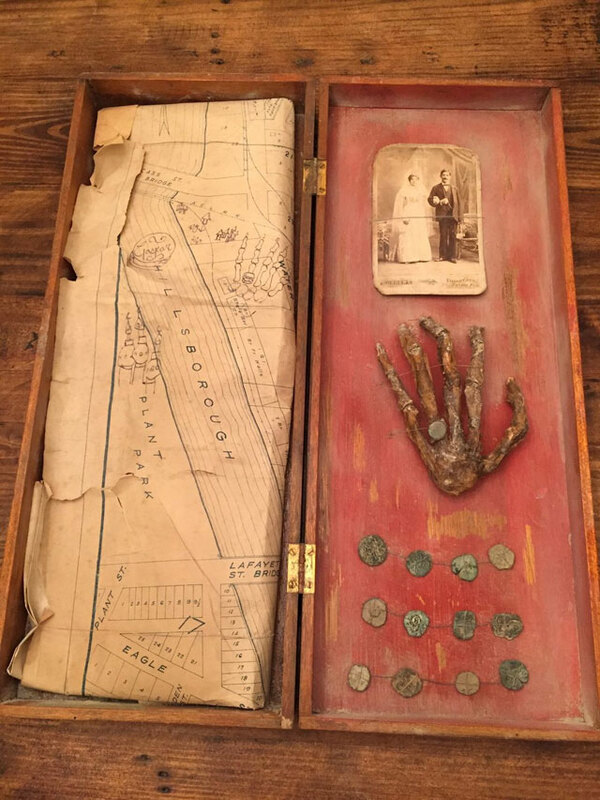 Mysterious box containing a map, coins and a mummified hand found in Tampa Bay attic. 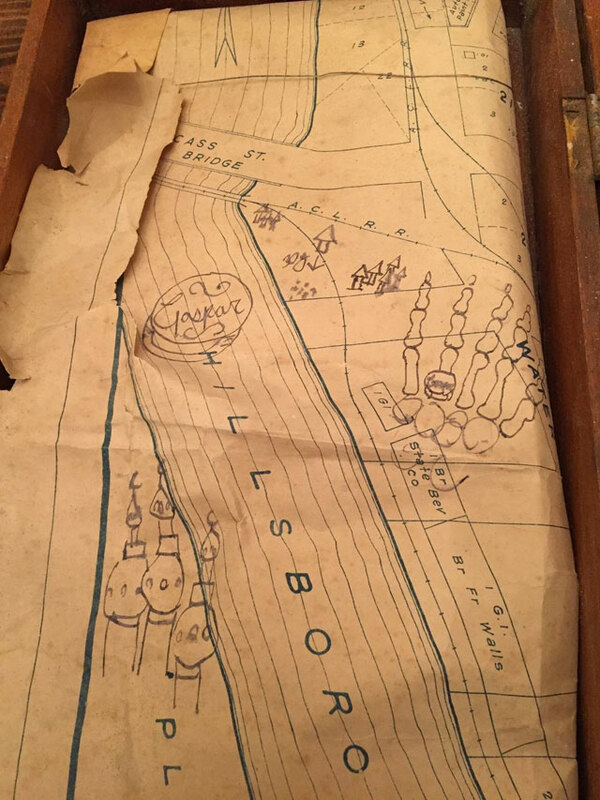 While doing some spring cleaning a few weeks ago, Maria Lopez made an unusual discovery in her grandfather’s attic. It was a simple wooden box, but inside were fascinating (and macabre) clues to a family mystery. 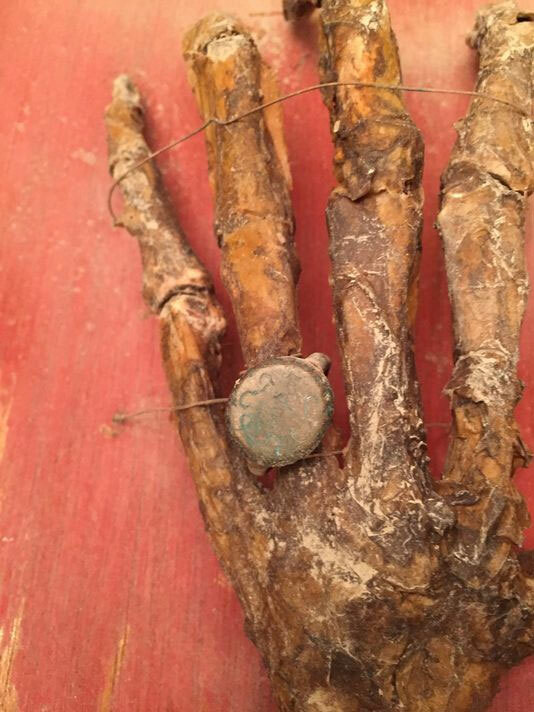 Fastened inside the box with copper wire is an old wedding photo, 18th century Spanish and Portuguese coins, a 1930s map of the Hillsborough River and a mummified hand wearing a ring. 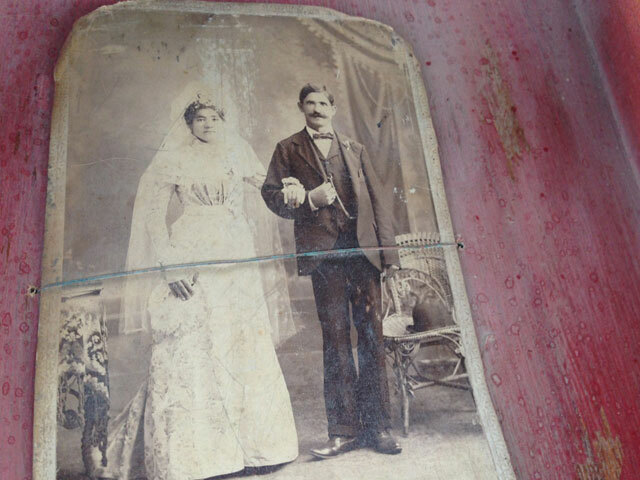 Maria’s brother Mike believes the couple in the photo may be their great grandparents, Eve and Ernesto Lopez. He remembers their grandfather telling stories when they were children of Ernesto finding the treasure of Tampa Bay pirate legend Jose Gaspar. 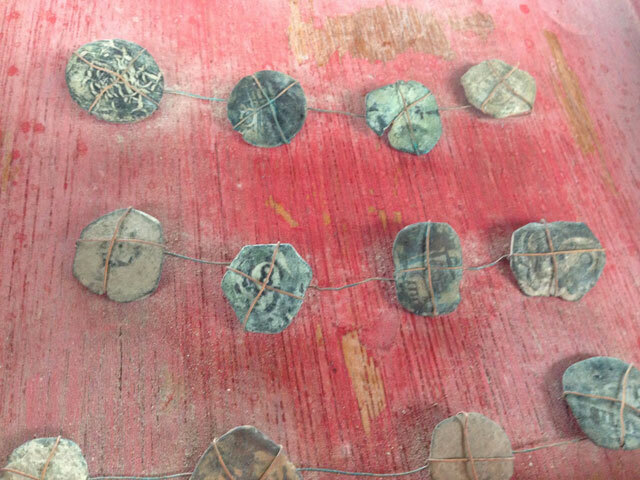 Several local antique stores described the contents of the box as “authentic and gruesome,” though a Tampa Bay historian says they do not appear to be genuine Spanish coins. 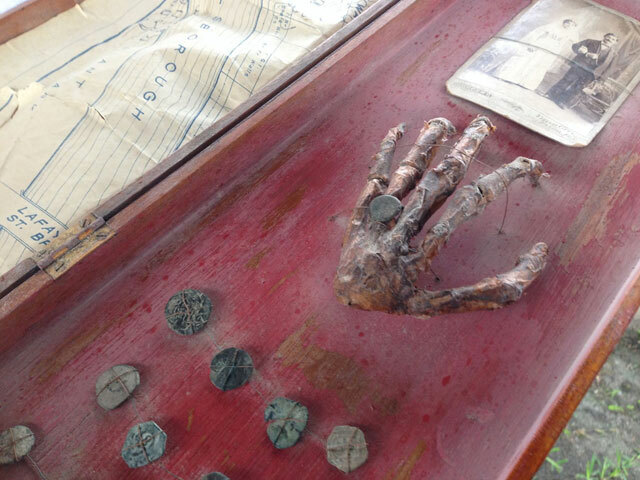 Whether the coins are authentic or not, Mike thinks the hand is real, and may belong to Jose Gaspar himself. Jose Gaspar, the legendary buccaneer who inspired Tampa’s Gasparilla Pirate Festival, as well as fantastic tales of lost treasure, most likely never really existed. It seems the mythical pirate was a tall tale concocted by a man named Juan Gómez. He claimed to be one of the few crew members to escape a fateful attack by American pirate hunting schooner USS Enterprise in 1821. While Gaspar chained the anchor of his ship to his waist and dove into the water to avoid giving the enemy the satisfaction of killing him, Gómez lived to tell the tale. The story was included in a brochure in 1900 for a hotel on Gasparilla Island, where the pirate supposedly stored his vast treasures in a hidden den that had never been found. The legend of Gaspar began making its way into other writings after that, without any other historical evidence to back it up. Is this the hand and treasure of Jose Gaspar? was reading about Jose Gaspar aka Gasparilla Pirate and one story tells of his friend Roderigo Lopez wanting to leave the Pirate life and Gaspar helped him leave, so it seems Maria Lopez great great grandfather may have been Roderigo. I am the great great great granddaughter of Juan John Gomez.